Day 24 was a great day for the Bankroll Challenge, but not so great for those looking to learn proper bankroll management. After a successful shot on Day 23, Doug Polk decided to make the jump from $10 tournaments to NL50 and PLO50, much to the delight of the action-hungry chat. Doug categorized the move as ‘’going absolutely ‘F’ the bankroll’’. His reasoning was that he could easily beat NL50 and could always move down if the shot went awry. A few hours and +3 buy-ins later, he was proven right. We start day 25 with $632. Doug started the day as he usually does, saluting the chat, which he considers to be one of the best on Twitch. He also apologized for cancelling the previous stream due to illness (nothing serious.) He also announced that due to his birthday, he won’t stream the next Friday. Doug has been doing great in cash games recently, so he decided to stick to them. The question then becomes, which cash games? Thinking about it for a moment, he decided to play a mix of PLO and NLH at $0.25/$0.50. His plan being to move down in stakes if the bankroll goes bellow $500. It wouldn’t be a true Bankroll Challenge session without the stream crashing abruptly. Fifteen minutes into session, the bankroll had been boosted to $711. More players had joined in and the battleground had gone from heads up to six handed. He had added another table when suddenly, the stream crashed. ‘’We’re still going to have a good stream today’’, Doug repeated to calm himself after the frustration of not knowing the cause of the constant crashes. He still managed to stay profitable on the session before crashing, with the bankroll at $673. It took awhile for the action to restart. Doug sat waiting for about six minutes until good ol’ Blvze saved the stream with heads up action. Other players followed, bringing the session back to a PLO/NLH multi-tabling combo. One hour and twenty minutes into the stream, Doug noted that the bankroll was at $851. The boost was thanks in part to how strong his Omaha game has been lately. The killing continued, with the bankroll at a very impressive $891 two hours into the session. A four-figure bankroll seemed very close to finally happening. But before that, PLO had to happen. That was a very nearly a bad beat that could’ve cost Doug a solid chunk of the bankroll. Luckily, thanks to the side pot, his losses were limited to just $20. He decided to play it safe and sat out of that game to open a new table, “banking” a few dollars for the bankroll. Someone asked him about his CPM, which is the way YouTube’s Adsense pays content creators. CPM (Cost Per Mile) is a system in which you’re paid for every thousand views or impressions on the ads before your videos. Doug actually has what he considers to be a terrible CPM, which is about $1 for 1K views. He then hopped into YouTube Analytics to show off some of his demographic stats. Most of his fans are (unsurprisingly) young adult males with desktops. A fortunate demographic in that they are among the most likely to gamble. An unfortunate demographic because they are also the most likely to use adblock. Doug has more female viewers than he thought. Doug is fine with this, however, as he is not doing it for the money, but for the audience. He wants to expand the poker corner of YouTube and promote himself and his training site. So far, Doug is the 3rd biggest poker YouTube channel. The biggest non-corporate owned channel being JCarver’s with 35K subs, even though he hasn’t used the platform in over a year. Two hours and thirty minutes into the stream, he announced that the bankroll was now down to $800. A downward spiral that happened after an extended card-dead period and losing a few too many hands. That soon changed as he entered a heads up PLO cash match against ‘Golfsuziq’’.‘ Early in the match, Doug flopped a straight flush and got no value. 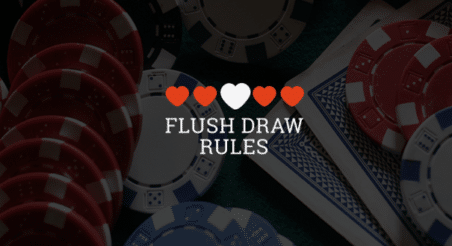 The straight flush may have acted as a good luck charm, because the bankroll started to soar just after. It started with a ‘’donation’’ by Blvze of a full buy-in when his A5 ran into Doug’s AK. This allowed Doug to put his foot on the gas, so to speak, and be more aggressive. That coupled with players practically giving him money with speculative plays meant the roll was growing on every table. Around three hour mark, Doug informed his audience of something they’ve been waiting to hear for a long time: The Bankroll finally crossed the $1,000 mark. The Bankroll went over and under a thousand several times throughout the duration of the stream, eventually settling just a hair over. Doug ends the day with $1,006 after an amazing session. Click here for daily updates from the challenge!